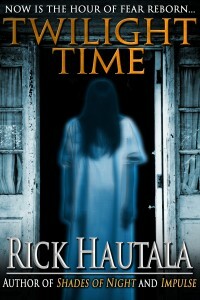 Haverhill House has posted the synopsis for Waiting, Rick Hautala’s last horror novel. They will publish Waiting later this year! We will be debuting our editions of WAITING at the 2017 Haverhill Halloween BookFear this October. And needless to say, we are honored to be publishing Rick’s last novel. 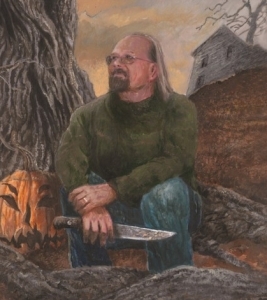 There’s a nice writeup/remembrance of Rick over on Christopher Fulbright’s Realms of Night site. Impulse ebook is available now! April 18, 2016 / goathunter / Comments Off on Impulse ebook is available now! 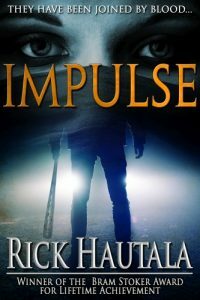 Now available in digital format, Impulse, the last of Rick Hautala’s novels originally published under the Zebra and Pinnacle imprints of Kensington books. Coming soon to digital are the four books published under Rick’s pen name AJ Matthews! Shades of Night ebook is available now! September 2, 2015 / goathunter / Comments Off on Shades of Night ebook is available now! 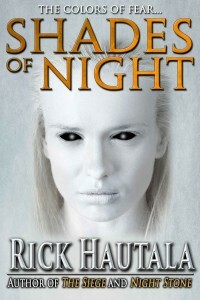 Rick Hautala’s Shades of Night is now available as an ebook from Crossroad Press! 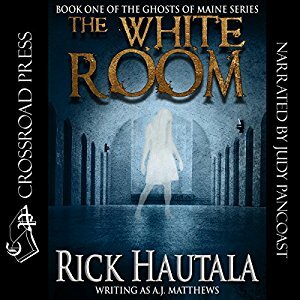 From the moment she and Vincent move into their new home in Maine, Lara DeSalvo is tormented by killer migraines and eerie visions: a young woman with a pale face and glowing eyes who warns of an unnameable danger … her mother, damning her soul from beyond the grave … a looming, shadowy man pursuing her through rooms she’s never set foot in before. Even her husband seems to change from her passionate lover into someone unnervingly different yet terrifyingly familiar. Now Lara will discover the true meaning of terror as a buried secret comes to light … a shattering final truth that will turn reality-bright day into blood-red shades of darkest night. 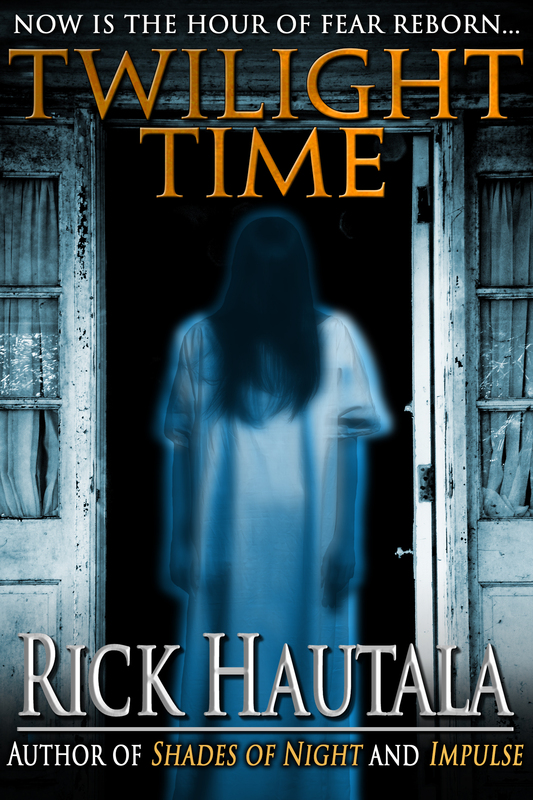 Crossroad Press is releasing an ebook edition of Rick Hautala’s Twilight Time. The ebook should be available for purchase on August 4, 2015. Glimpses ebook only $.99 at Amazon for a limited time! May 25, 2015 / goathunter / Comments Off on Glimpses ebook only $.99 at Amazon for a limited time! GLIMPSES , a career-spanning story collection from Rick Hautala, is only 99 cents at Amazon for a Limited Time! This illustrated ebook edition includes all 8 interior illustrations from artist Glenn Chadbourne. HWA Lifetime Achievement Award Winner Rick Hautala’s writing career spans more than three decades. Glimpses, a “best of” collection, brings together twenty-four stories—quick glimpses into the deepest shadows of our lives, around unfamiliar corners of streets we think we know, and down the darkest alleys of strange cities where readers will have to face their worst fears and their most unnerving nightmares. So whether it’s in a haunted schoolhouse or an abandoned lighthouse, an iron bridge that spans a fast-moving river or a World War I battlefield, prepare yourself because you never know what you may catch a glimpse of … and by then, it may already be too late. 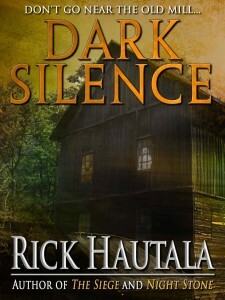 The blog Mika Reads Horror Fiction has a new review of Rick’s 1992 novel Dark Silence, available now in ebook formats! The Kindle edition of Crystal Lake Publishing’s anthology Fear the Reaper is currently free on Amazon US. The anthology of tales was published in 2013 and includes “Non-Returnable,” a story by Rick Hautala! The book is edited by Joe Mynhardt and also includes stories by Jeff Strand, Joe McKinney, Gary Braunbeck, and others. You can buy Fear the Reaper in paperback and Kindle formats from Amazon. “Non-Returnable” was previously published in the 2002 anthology Shelf Life, published by Dream Haven Books. 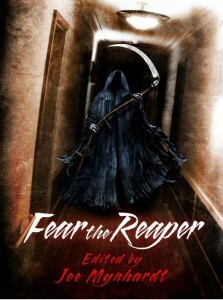 Editor Joe Mynhardt blogged about Fear the Reaper.